Morgan Tool & Supply was established in 1963, and has been a fixture of the local construction industry ever since. When Richard Williford and Jimbo Wilkinson assumed ownership in 2007, they continued the legacy of unparalleled customer service and quality products that Morgan Tool & Supply was known for. We recently partnered with them to create a new website that reflected their focus on providing outstanding customer service and easy access to their products. The solution? We employed design elements that are on-trend and functional for today, but styled them with a retro-modern feel. 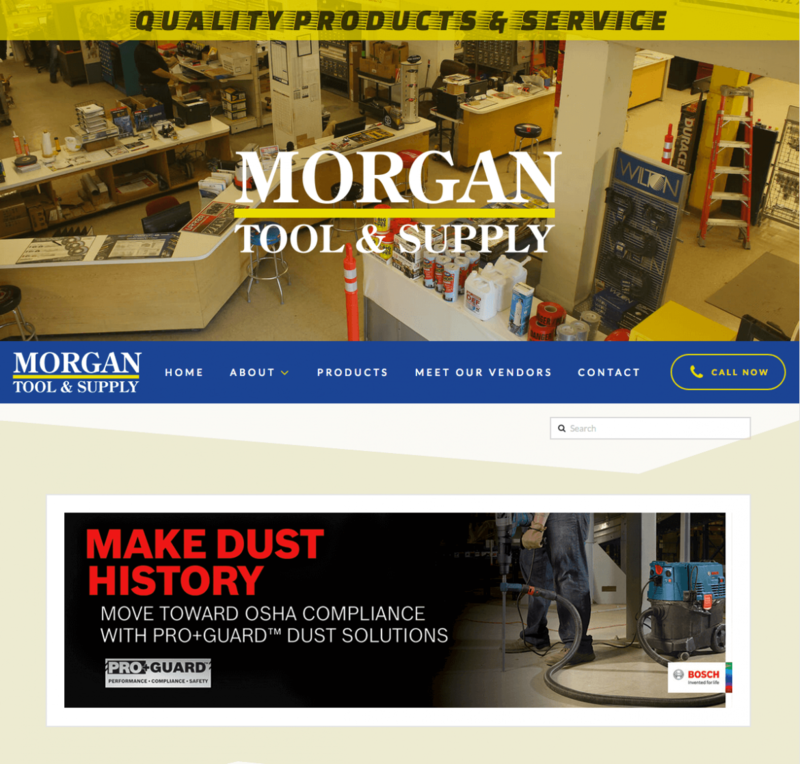 We created a site that conveys the history and legacy of Morgan Tool & Supply, that also reflects their relevance in today’s marketplace. We look forward to continuing our partnership with Morgan Tool & Supply as they add new services and continue to provide outstanding customer service, both in-store and online.